The International Seafood Sustainability Foundation (ISSF) announced today the adoption of two new conservation measures to facilitate continuous improvement across global tuna fisheries. ISSF also amended two of its existing conservation measures. Adoption of the new measures supports the expansion of ISSF efforts to the longline fishing sector, doubling the number of measures that apply to longline vessels specifically, the first of which were adopted in April 2017. All ISSF conservation measures directly affect how nearly 30 global seafood companies that are ISSF participating companies environmentally manage their respective tuna supply chains. The ISSF ProActive Vessel Register (PVR) is a public internet database that tracks detailed vessel information and how vessels are following science-based practices that support sustainable tuna fisheries. MRAG Americas, a third party, independent auditor, audits vessels that join the PVR with respect to these practices; vessels that join the PVR commit to provide regular, accurate information about those activities. Because the PVR brings transparency to the tuna supply chain, ISSF has worked to increase the number of fishing vessels the Register lists — from less than 200 vessels in 2012, the year it was launched, to more than 1,000 as of October 31, 2018. The ISSF Status of the Stocks report shows that longline fishing accounts for 12% of the tuna catch globally, or more than 562,000 tonnes. While some tuna longline vessels are already listed on the PVR — 202 of the total 1,099 vessels listed are longliners — the newly adopted ISSF conservation measures amplify the PVR’s ability to increase transparency and accountability amongst longline tuna fishing vessels. Shall register by June 1, 2019, all controlled longline vessels fishing for albacore, yellowfin and bigeye tuna on the ISSF ProActive Vessel Register (PVR) and thereafter maintain such registration indefinitely. Read more on Conservation Measure 7.1(b) and Conservation Measure 7.5. In addition to the adoption of two new measures, the ISSF Board amended two existing measures: ISSF Conservation Measure 2.4 and ISSF Conservation Measure 2.2. ISSF Conservation Measure 2.4 – Purchase Requirements from ISSF Participating Companies to Enhance the Effectiveness of ISSF Conservation Measures, originally adopted in October 2017, is amended to become Conservation Measure 2.4 – Supply Chain Transparency, Audit, Reporting and Purchase Requirements, with an effective date of January 1, 2020. ISSF Conservation Measure 2.4 requires that the nearly 30 ISSF participating companies purchase tuna products primarily from other suppliers that are either ISSF participants or that acquire the newly created designation of an ISSF Data Check Company. Any tuna processor, marketer or trader that commits to conform to all ISSF conservation measures, commits to the ISSF compliance audit process, and successfully completes an initial audit of its traceability system may apply to become an ISSF participating company. Any tuna supplier that has a published compliance audit report with respect to five specific ISSF conservation measures may become an ISSF Data Check Company. Those five ISSF conservation measures are: Conservation Measure 2.2 – Quarterly Data Submission to RFMO; Conservation Measure 1.1 – Tuna RFMO Authorized Vessel Record; Conservation Measure 4.1 – Unique Vessel Identifiers – IMO; Conservation Measure 4.2 – Purse Seine Unique Vessel Identifiers; and Conservation Measure 5.1 – Illegal, Unreported and Unregulated (IUU Fishing). Companies designated by ISSF as Data Check Companies that have a published compliance audit report with respect to ISSF Conservation Measures 2, 1.1, 4.1, 4.2, and 5.1, as determined and reported by the ISSF external auditor on or before January 1, 2020, and subsequently become ISSF Participating Companies on or before January 1, 2021. Companies designated by ISSF as Data Check Companies that have a published compliance audit report with respect to ISSF Conservation Measure 2.2, 1.1, 4.1, 4.2, and 5.1, as determined and reported by the ISSF external auditor on or before January 1, 2020, and subsequently become ISSF Participating Companies on or before January 1, 2021. Complete details on the Data Check designation, including Terms and Conditions, are available in the full text of the conservation measure on the ISSF website, as well as an application form. Conservation Measure 2.4 was originally recommended to the ISSF Board by ISSF’s Environmental Stakeholder (ESC) and Scientific Advisory Committees (SAC) to reduce existing gaps in the receipt of data by tuna RFMO scientific bodies — gaps that a fragmented and global supply chain can perpetuate. 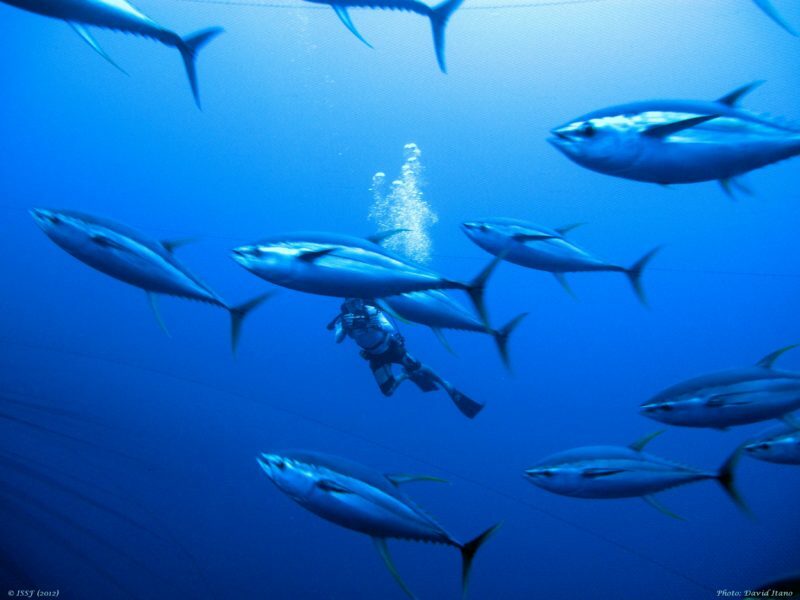 Specifically, the committee intended that a greater number of tuna companies be beholden to ISSF Conservation Measure 2.2, which requires participating companies to submit species and catch data to RFMOs quarterly because “the scientific findings of the RFMO scientific bodies depend on the completeness and accuracy of the supporting data available to them.” As amended, Conservation Measure 2.4 will expand industry commitment to best practices beyond RFMO data submission that are critical in the elimination of IUU fishing. Finally, the ISSF Board amended ISSF Conservation Measure 2.2, to require the use of a specific and consistent format when ISSF participating companies submit quarterly data to RFMOs. Starting with the reports corresponding to the fourth quarter of 2019, submissions shall use the format available for download on the ISSF website. The amendment comes as a result of research and guidance from the ISSF SAC, following their analysis of the current use of the data in different RFMOs. Since its inception in 2009, ISSF has adopted conservation measures and commitments to facilitate this mission with the intent that processors, traders, marketers and others involved in the seafood industry will follow them to facilitate real and continuous improvement across global tuna stocks. Each ISSF participating company commits to conform to these conservation measures to improve the long-term health of tuna fisheries. They also must adhere to the ISSA Compliance Policy. ISSF-participating tuna companies, which represent about 75% of global canned-tuna production and include well-known brand names, are audited yearly by MRAG Americas on their operational transparency and compliance with ISSF conservation measures.